Sculpture Size: 11 X 18.5 X 6 in. One of Tim’s sculptural series, “Beetle Brunch” features a frog climbing up a branch to reach a beautiful blue scarab beetle. 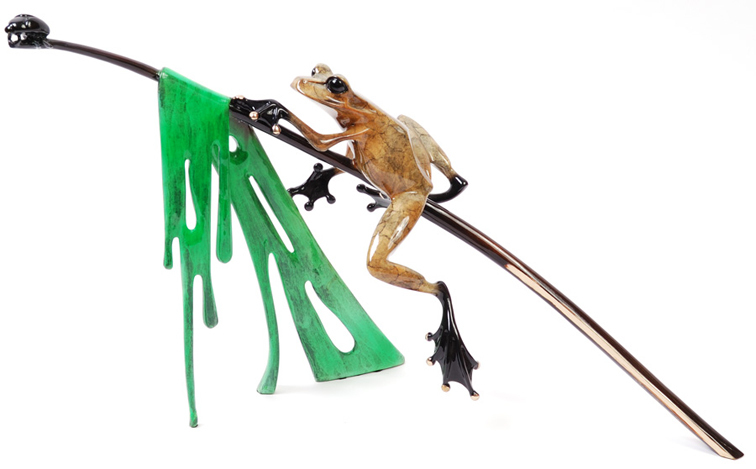 Brilliant green grass is draped over the branch, providing a nice foil to the palomino patina of the frog. A wonderful centerpiece for a dining table or sofa table.